MVC Amazon S3 Uploader is a tool which uploads and downloads small or big sized files into Amazon S3 Storage Service. 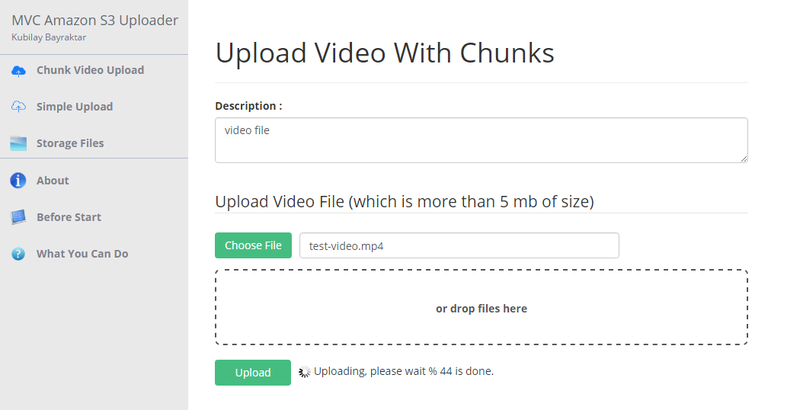 You can upload any sized of video file with chunks. You can upload video file with drag-drop. You can see the progress of upload. You can upload any file directly. 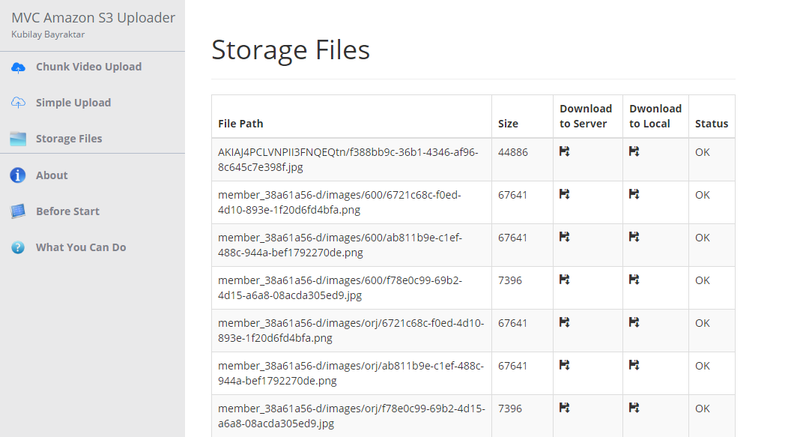 You can list upload files. You can download any file with chunks. You can create signed urls. You can delete objects. You can create buckets.